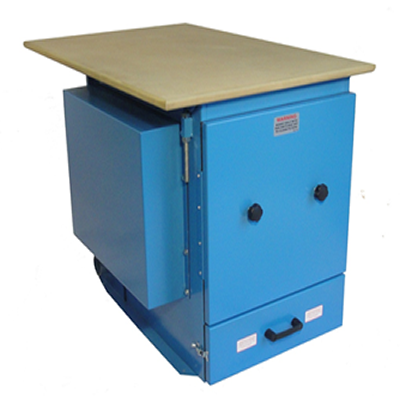 We provide a wide range of dust extraction units for extracting fine dust from a multitude of processes. 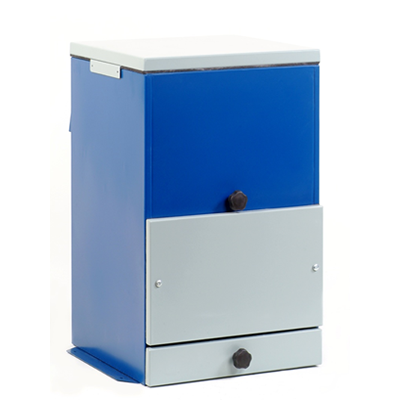 Small dust extraction units are typically found in schools and colleges. They are ideally suited as a stand alone system for a single machine such as a circular saw or a bandsaw. 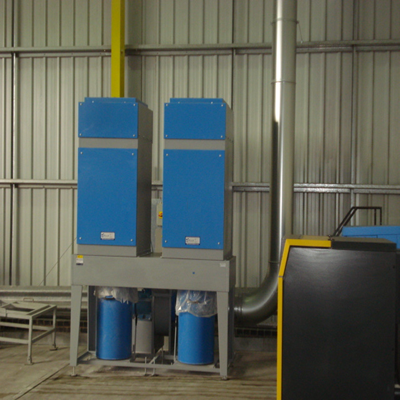 Larger dust extraction units are suitable for more demanding applications, either serving one large industrial machine or connecting to multiple machines in a ducted system. All units come with a filter shaker mechanism which allows the filter to be cleaned to keep performance at its optimum. Shaker systems can be operated manually or mechanically. Mechanical shaker systems are activated following the run down of the fan once the machine is switched off. Filters are supplied to suit each specific application. High-tech textiles such as needlefelts are used in the construction of filter bags, including anti-static versions to eliminate static charges that can build up in the dust stream. Polyester, Polypropylene and Acrylic needlefelt for ambient temperatures and Aramid, Polyimide, PPS and PTFE for high temperature applications. Special hydrophobic coatings and ePTFE membranes can be added to aid dust release in moist, sticky conditions and to reduce emissions. HEPA filters are also available if necessary. Units can be specified with ATEX compliance where explosive dusts are being extracted. 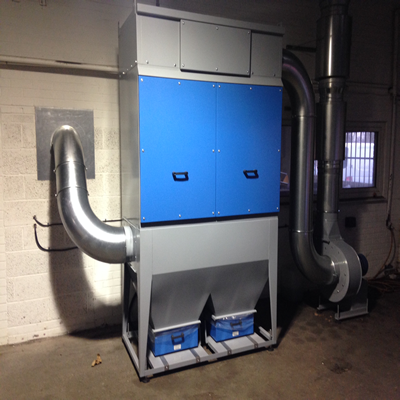 If you would like further information on our fine dust units, please contact our sales team. RAMAIR multi pocket Extraction Unit with automatic shaker.